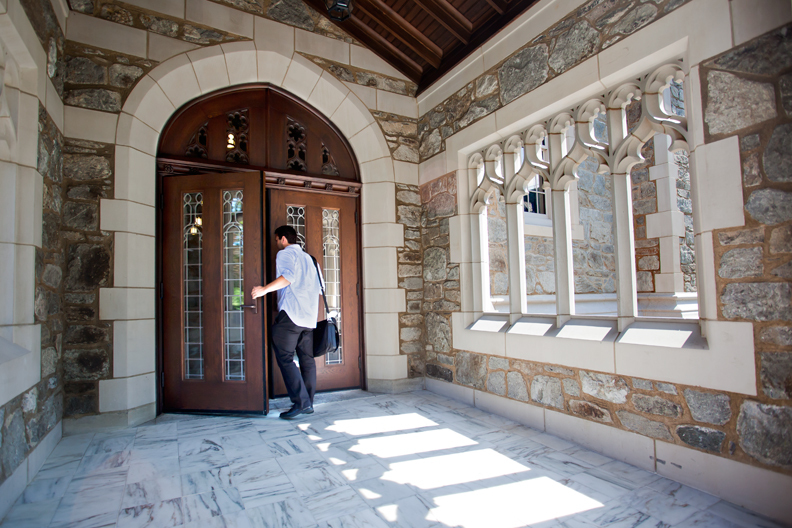 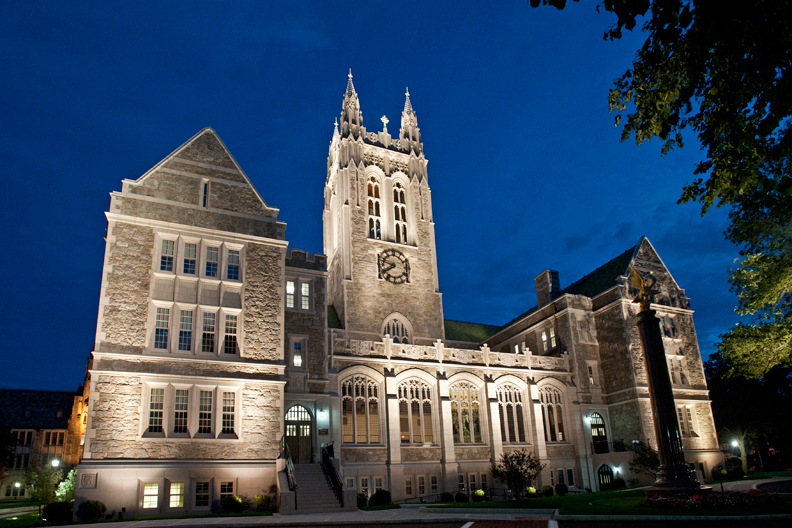 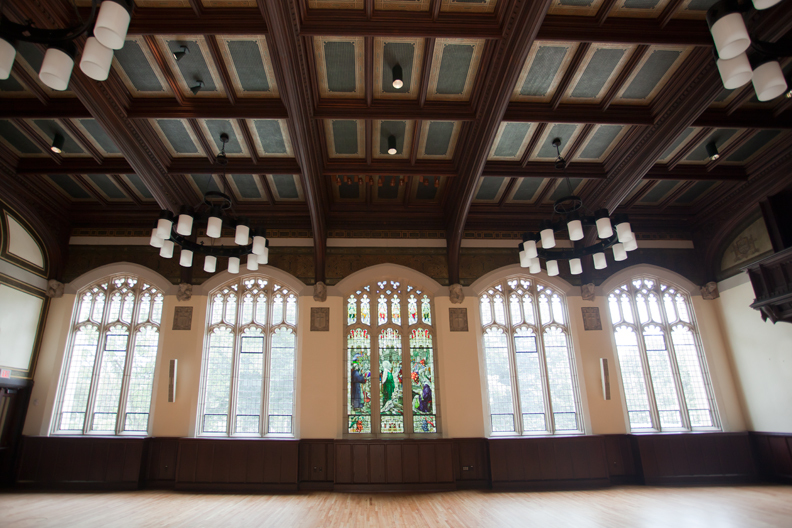 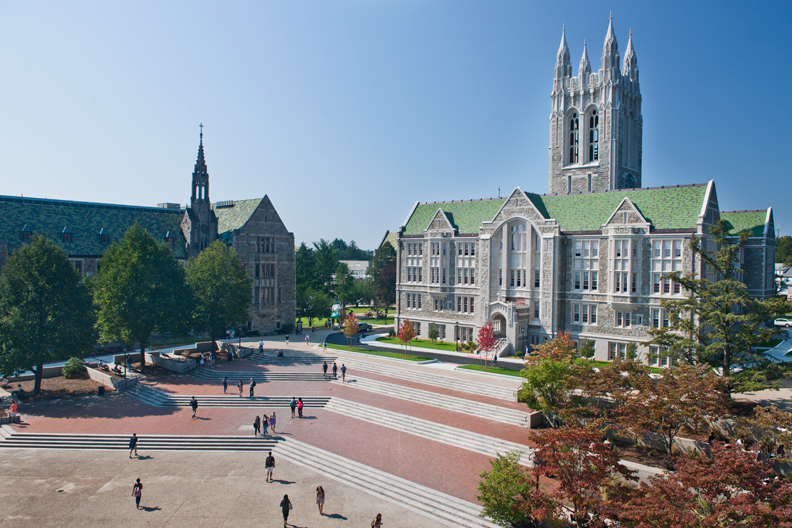 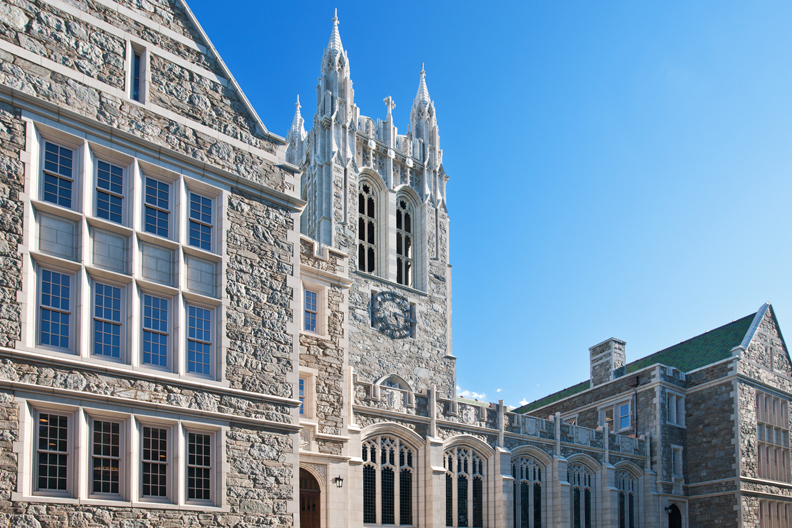 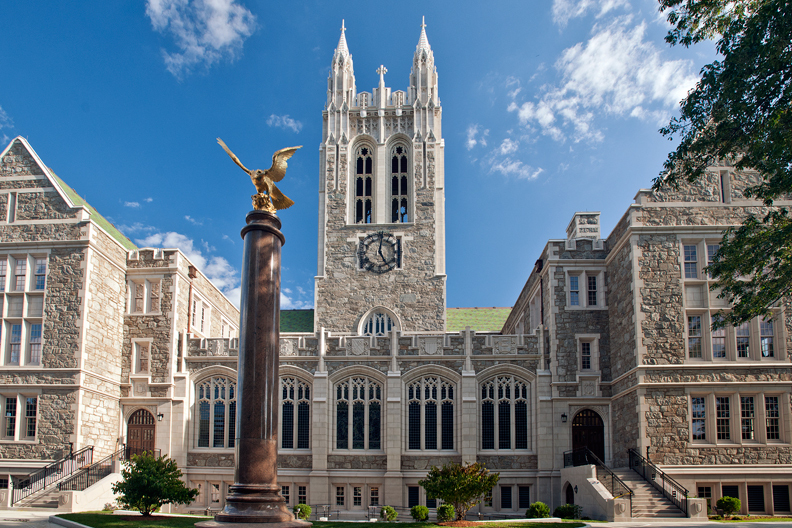 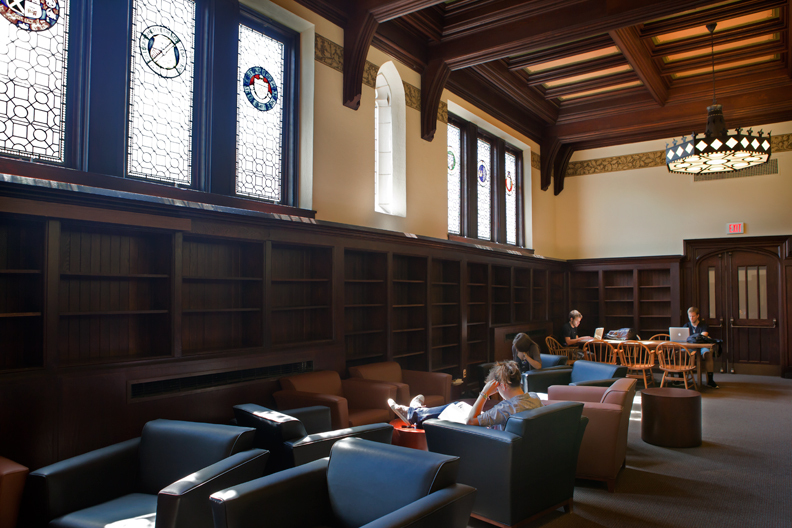 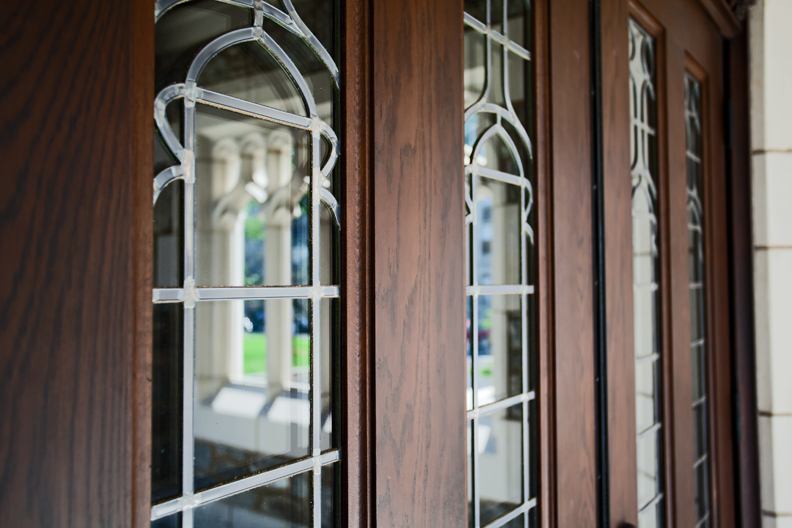 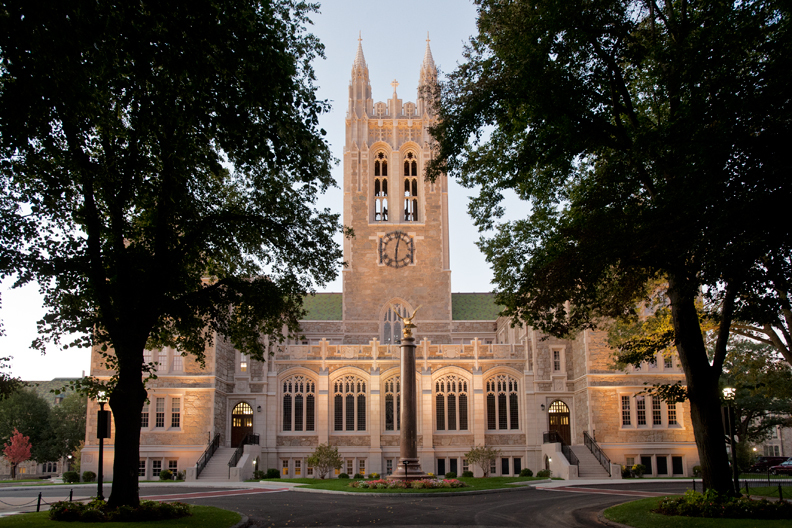 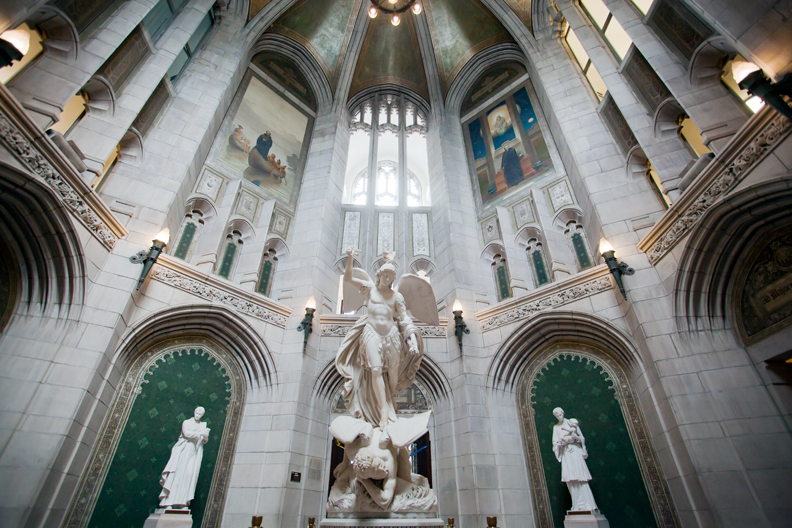 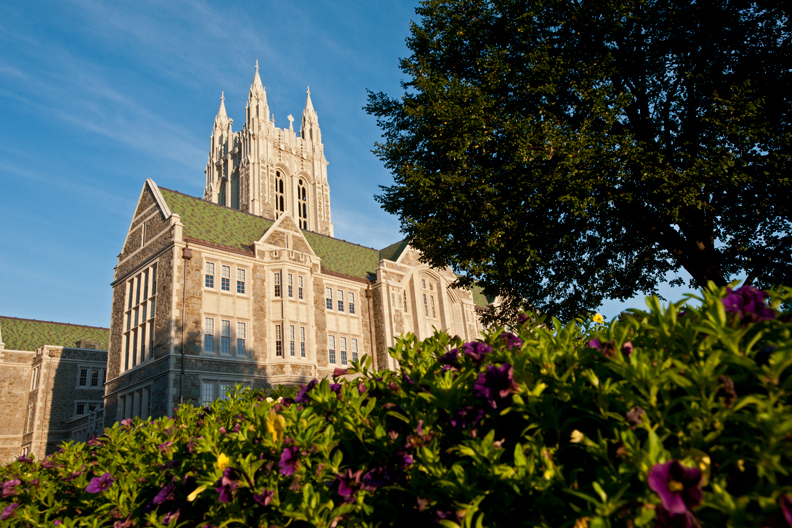 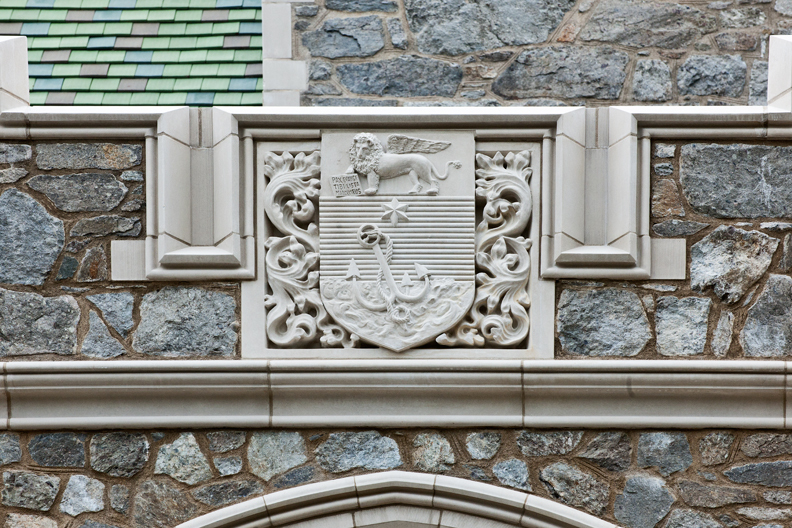 For 15 months starting in June 2010, Gasson Hall’s 22 classrooms and 38 offices lay empty as the University’s 98-year-old signature building underwent a complete renovation. 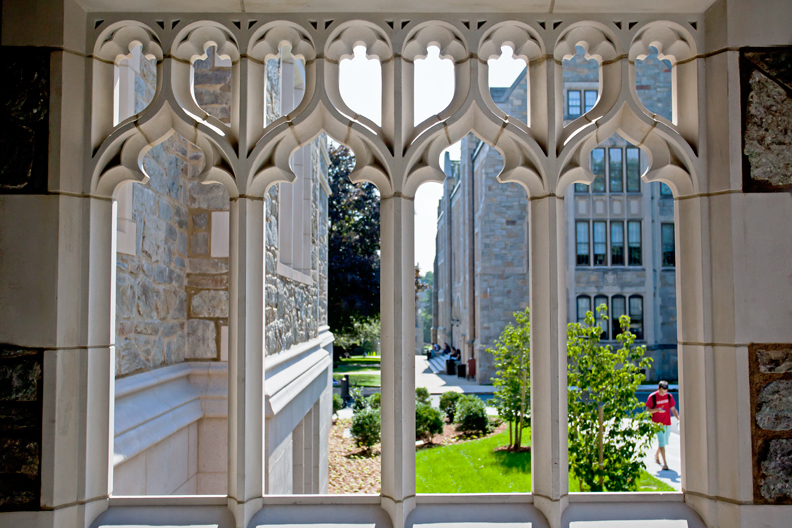 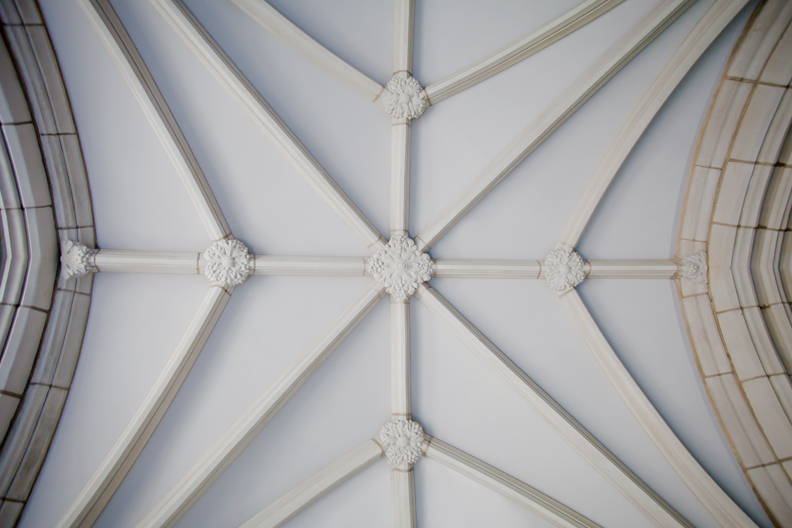 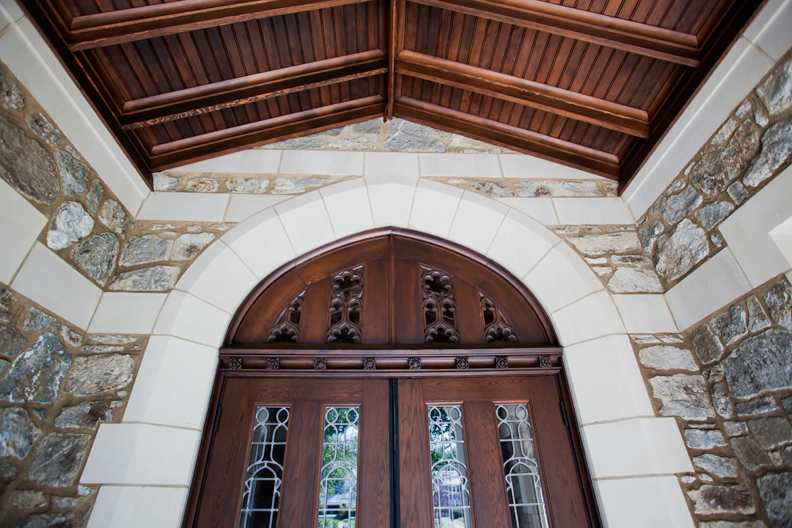 The work included removing and duplicating all of the exterior cast stonework, from the foundation blocks to the window trim and the ornate arches on the porticos—some 8,500 pieces in total. 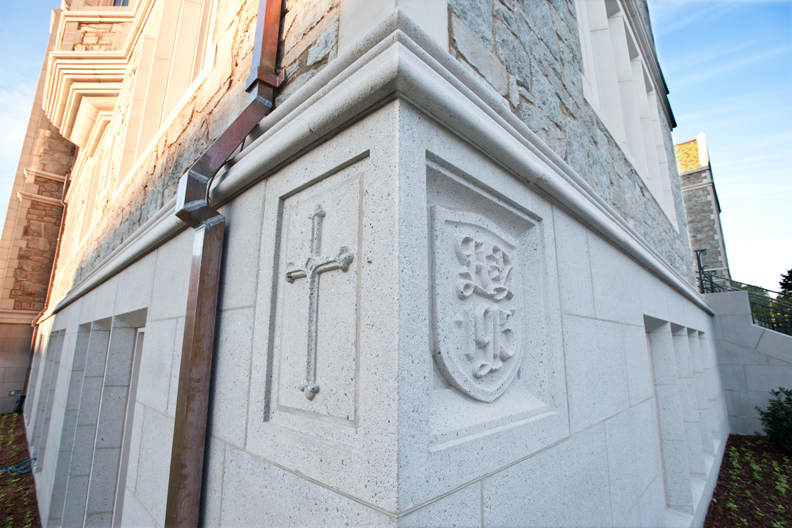 The Roxbury puddingstone that covers the facades was cleaned, and every joint was repointed. 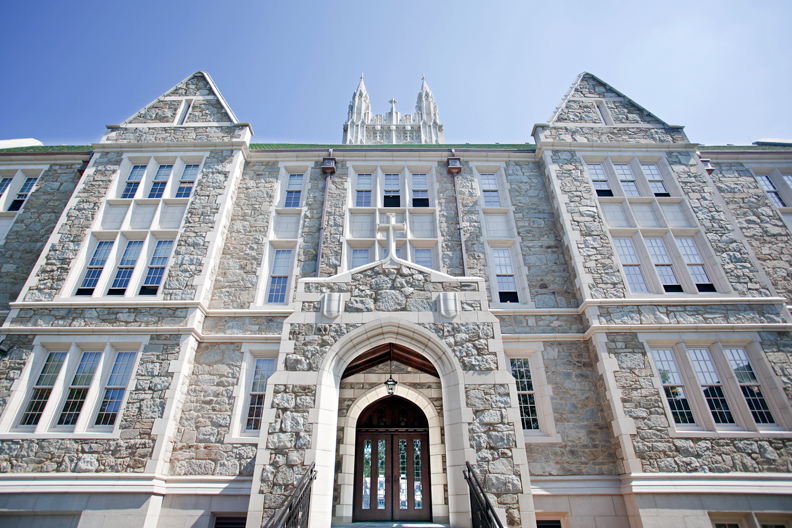 In addition, the contractors installed 250 new energy-efficient windows, improved handicapped access, and upgraded systems and surfaces throughout the building. 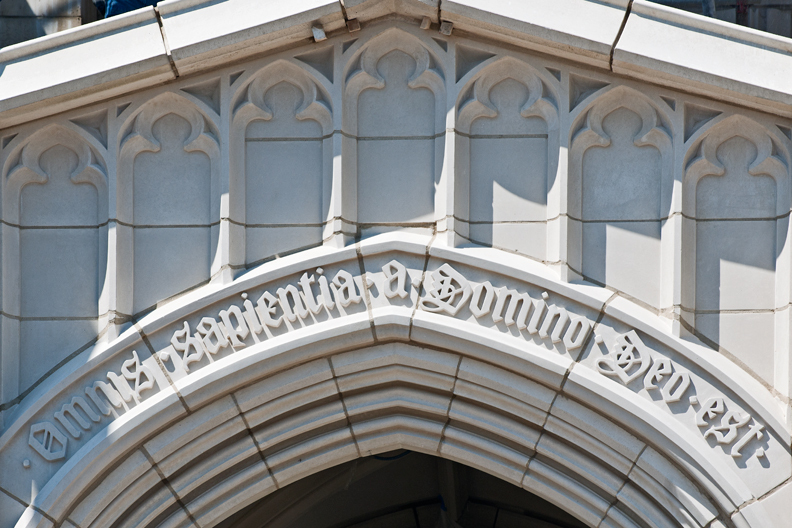 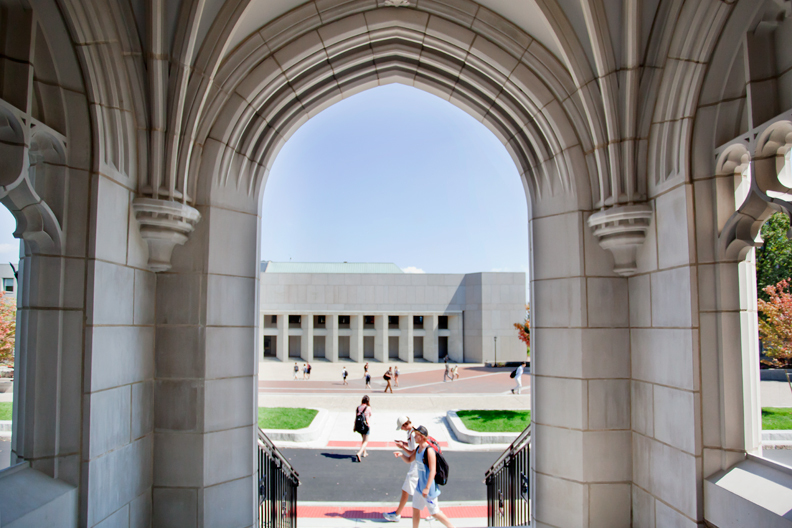 Despite a winter with more than 80 inches of snow and numerous distracting discoveries (one section of the east facade lacked any structural support), the building, which first opened in 1913, was reopened in new splendor for the start of the academic year. 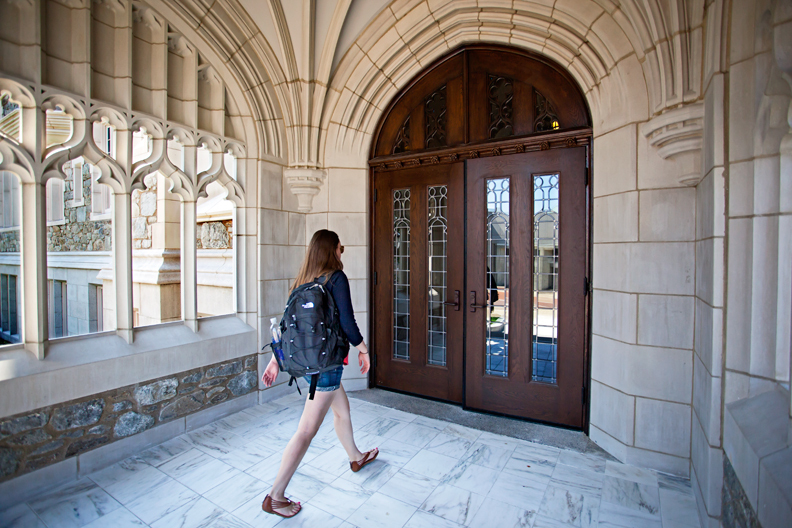 This feature was posted on Tuesday, September 20, 2011 and is filed under Slideshows.